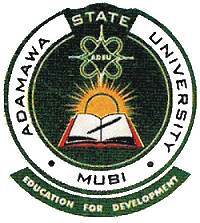 The Adamawa State University (ADSU) is a state government owned and operated Nigerian university. Adamawa State University has been official accredited and/or recognized by the National Universities Commission (NUC), Nigeria. Do you want to find out the list of courses you can study at the Adamawa State University (ADSU)? Below are the list of high-quality courses on offer at the Adamawa State University. 100 Level: UTME, and Direct Entry (DE) OND, ND with a pass.
. NCE with a minimum of 9 points having met O’ level requirements for the programme.
. IJMB with a minimum of 6 points have met O’ level requirement for the programme.
. ND with a minimum of LOWER CREDIT and having met O’ Level requirements for the programme. The official website for Adamawa State University is – http://www.adsu.edu.ng/.